Leave Means Leave chairman Richard Tice has slammed Theresa May’s deal as “the worst deal in history”, comparing it to “tying us in a straitjacket and giving the keys to the European Union”. During a conversation with Mike Graham on talkRADIO, the campaigner and businessman said he hoped for a big defeat for the Prime Minister when MPs vote on her deal on Tuesday evening. “We hope this vote this evening will be comprehensively defeated by as big a margin as possible, so that parliament makes it very clear to the Prime Minister that this is the worst deal in history and they’re not prepared to back it,” he said. “She should stick to what she always promised - that no deal is better than a bad deal. “She should come back tomorrow and say, full steam ahead, no deal planning, we’re going to go to World Trade Rules at the end of March. Graham remarked that her strategy of warning Brexit could be compromised or a no deal exit could happen if her deal was not supported was “muddled”, given that some MPs are in favour of no deal. “It is muddled, and this is all part of the scaremongering to try and get MPs to vote for this very bad deal,” said Mr Tice. He added that he thought MPs who are trying to “stop Brexit” are “playing silly parliamentary games”, and would anger the electorate. “Voters are tired of it, they want it done, they want us gone. More and more people up and down the country are realising, if we leave without a deal, we can save £39 billion, we can start to take back control of all the things that are dear to people’s hearts,” he said. Graham also criticised Remainers Anna Soubry and Dominic Grieve, who met with EU chief negotiator Michel Barnier in January last year. “[We should have] presented a united front for them [the EU], instead of having the likes of Anna Soubry and Dominic Grieve popping over to see Michel Barnier to see what colour his socks were. What was the point of that?” he said. “These people have no idea how to negotiate a proper deal,” replied Mr Tice. “I’m a businessman, and we are just aghast at the incompetence at this negotiation. “It’s been so bad, it must be deliberate. Everybody knows that you must be prepared to walk away from a deal, otherwise you’ll get a bad deal. He urged people to listen to the likes of businessmen James Dyson and Tim Martin, who are ardent Leavers. 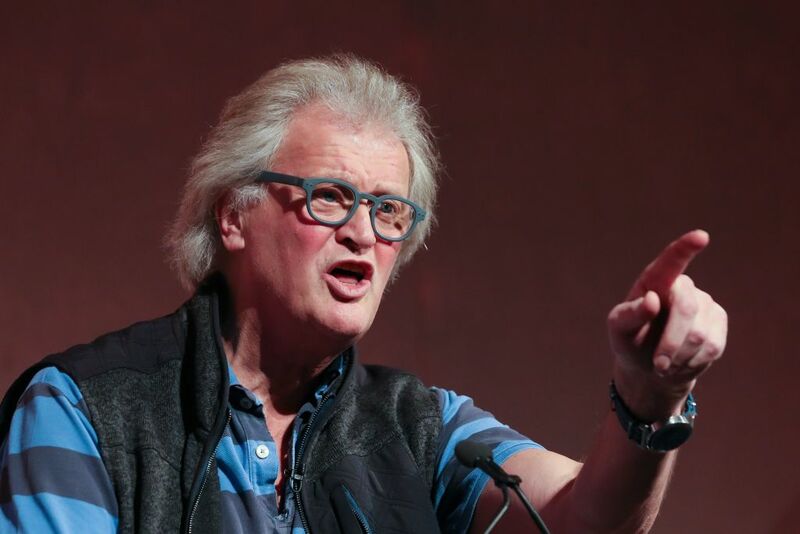 “The greatest entrepreneurs from our country - the Dysons, Tim Martin - they’re all leavers, and they’re all quite happy to go to World Trade rules. “I think listeners should say, ok, I’ll listen to someone who’s put their cash on the line. These people want to leave and get on with it, and I think people need to draw confidence in that,” he said.